The development of the Virginia class is rightly seen as an exemplar of military procurement done smartly. Its development dates back to the mid-1990s, and followed on from the development of the Seawolf class, another exemplar of military procurement—but not of the good kind. The Seawolf grew out of Cold War requirements for an ultra-quiet but fast attack boat. Due to the noise generated by water flow around the hull and by the propulsion system, speed and quiet are generally an either/or proposition for submarines. Demanding both put the boat firmly on the path of conflict with Augustine’s Law VII: the last 10% of performance generates 1/3 of the cost and 2/3 of the problems. A speaker at the recent ASPI submarine conference made the observation that ‘no system was too beautiful’ for the Seawolfs. In other words, pursuit of the highest level of performance was given priority above any thought of economical production. The result was inevitable; the Seawolf entered into an F-22-like ‘death spiral’ of higher projected unit costs and lower projected build numbers. In the end only three were built, versus 29 planned, as the 1991 cost estimate was close to US$5 billion per boat in today’s dollars. So a new way of building submarines needed to be found if the US Navy (USN) was to have any chance of keeping its SSN numbers at the desired levels. Just as the USN surface fleet has been dwindling in size as unit costs rise, so too has the submarine arm. The planned 30 Virginia class (and three Seawolfs) will follow on from 62 Los Angeles class SSNs. While each new boat will be significantly more capable than the one it replaces, it can still only be in one place at a time (numbers matter) and the ‘rule of three‘ means that only a third of the fleet can be relied upon to be operational much of the time. Nonetheless, the USN will have more Virginias than it would ever have got Seawolfs. So how did it go about designing a submarine that was capable enough for the future environment, but inexpensive enough to build in adequate numbers? The answer is described in a US Naval Institute article from a few years ago. Or, more accurately, the answers, because there was no single factor. The USN was prepared to listen to innovative ideas from the shipbuilders rather than impose requirements-driven solutions. One such was a new approach to sonar arrays that makes them easier to build and maintain but still provides acceptable performance. And weapons systems designed and built for guided missile boats were reused in the Virginias, rather than a new bespoke design. Building political capital and Congressional trust through consistent messaging was also important, as was finding a cost-effective way to provide productivity incentives to both of the shipbuilders involved in the program. The USN agreed to fund infrastructure and facilities upgrades at the two shipyards, but with strings attached. Half of the money would be paid before the upgrades began—but only on approval of a fully-costed business plan that showed how the yard planned to improve productivity and cut overall program costs. The other half of the money would be paid after those productivity improvements had been demonstrated. Because each yard knew that the other would be making a pitch, it also introduced competition between them for funding. That was a win-win arrangement which gave the shipbuilders a government funded capital boost and the USN a lower overall program cost. So the Virginias aren’t the complete solution to the USN’s numbers problem. But it’s fair to say that the situation would be even worse without the cost reduction efforts. We’ve reached the point in weapons development where ‘better is the enemy of good enough‘ carries more weight than it used to. Andrew Davies is senior analyst for defense capability and director of research atthe Australian Strategic Policy Institute. This article was originally published by ASPI’s The Strategist Blog here. 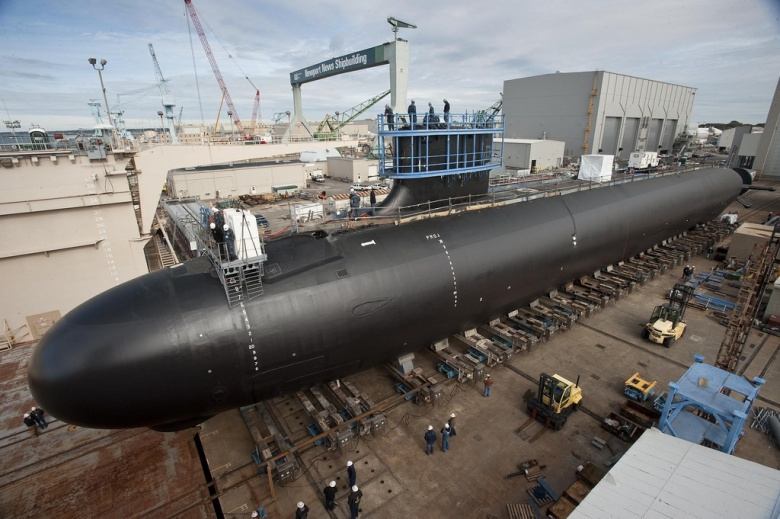 *Lest readers disposed towards an Australian Virginia class buy get too excited, that’s the shipyard contract or ‘sailaway’ cost, and lacks many of the costs associated with onboard systems and material needed to operate the boat. TheUSN budget papers for FY 2015 (PDF, page 45) show a unit procurement cost of various blocks between US$2.5 – $3.2 billion, or about half the projected cost of a Seawolf.